In a simple, one-page press release, Suzuki has announced it is pulling out of World Motocross (and the All-Japan Motocross Championship), despite launching a new bike for the 2018 season. Suzuki says it is still developing motocross machinery, using the national championships like Australia and the USA as testbeds, but here at Cycle Torque we’re left wondering why a company which built so much of its success on the back of motocross and winning titles that it’s decided the benefits of being in World Motocross don’t outweigh the drawbacks. 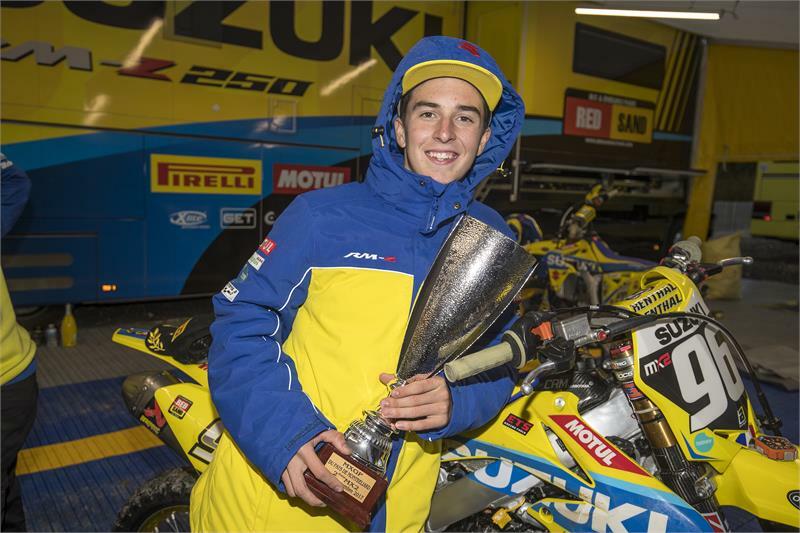 Certainly it’s been slim pickings at world championship level for Suzuki in recently years – the last time the company won a World Motocross Championship was in MX3 way back in 2009, but you would have thought they would be keen to have a crack with a new bike and multiple world champion Stefan Everts running the team. It’s not like the old bike was a dud – in the right hands it won Supercross and Motocross titles, although admittedly not many (and not at World Championship level). 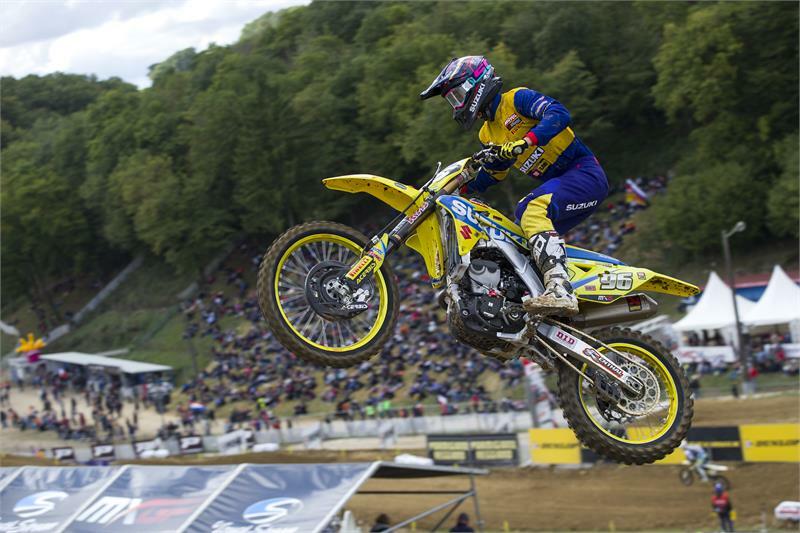 In the manufacturers’ title this year Suzuki has finished last. The decision leaves Aussie Hunter Lawrence without a factory bike mid-way through a two-year deal… so let’s hope the 18yo can find another ride. Lawrence had won the final race of the MX2 season and then backed-up at the MX of Nations, winning the class overall with two consistent rides. He also won the Ricky Carmichael award for Best Young Rider. He was expected to be a front-runner in the title chase in 2018, let’s hope he can get a bike which suits him and has the capability of winning a title. When large organisation talk of ‘restructuring’, it usually means cost-cutting – and while World Motocross is expensive, it also puts on display bikes they are trying to sell in decent numbers – and that obviously isn’t working for Suzuki. 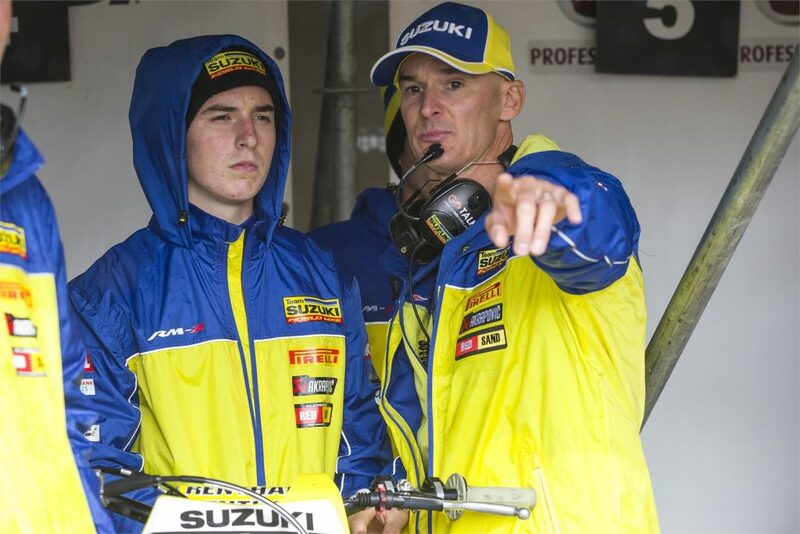 Hunter Lawrence and team boss Stefan Everts.